Free download EaseUS System GoBack latest version. Free Windows rollback alternative to downgrade Windows 10 to Windows 7/8/8.1. System GoBack is the best solution to protect your Windows 10 upgrade experience, and allows to easily go back to previous Windows Operating System and restore old applications & games with only one click. Back up your system before you upgrade the OS or roll back to the previous system. 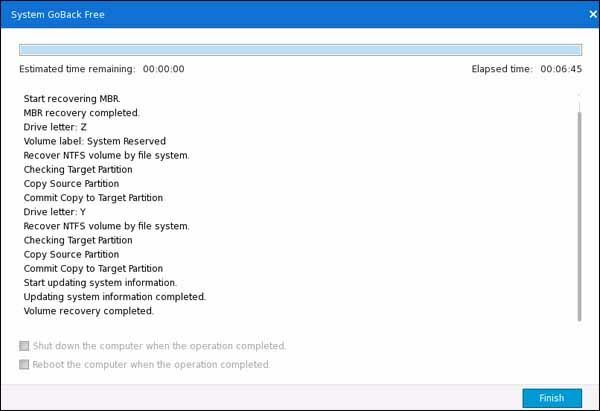 Click “Backup System” to get started. If you want to go back to the previous OS, just click the “Go Back” to get your old system back. Please note: check whether you have installed EaseUS Todo Backup by which you can back up and restore your operating system. If not, please install EaseUS System GoBack.